The Brix Scale is used in the sugar, fruit juice and wine making industry. Degrees Brix - symbol °Bx - is the sugar content of an aqueous solution. Brix to Plato correction factor is 1.04. Engineering ToolBox, (2012). Brix Scale. 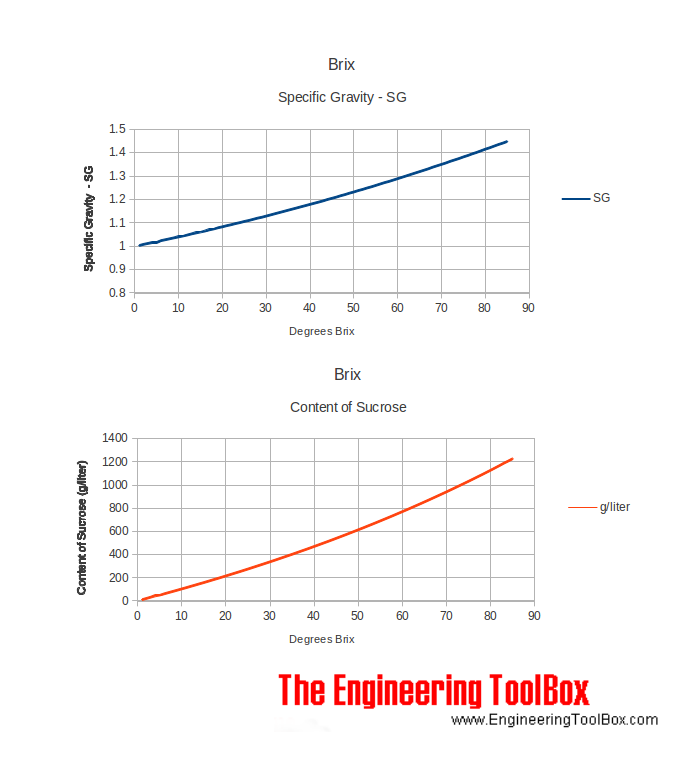 [online] Available at: https://www.engineeringtoolbox.com/degrees-brix-d_1828.html [Accessed Day Mo. Year].